Oh, look who it is Pretty Little Liars fans. Everyone’s favorite creepy baby killer costume. 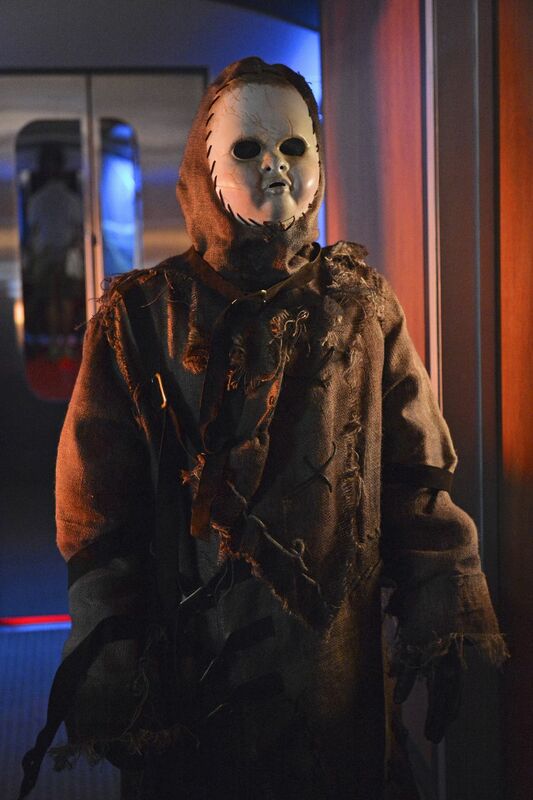 All aboard the Rosewood Halloween Ghost Train! This is a Dark Ride, the special Halloween themed episode, airs October 23rd as part of ABC Family’s 13 Nights of Halloween and features special guest Adam Lambert. Uhoh! Who’s attacking Spencer? These girls should just walk around with Mace or a box cutter or something to protect themselves. At least she looks gorgeous. And hey! Caleb is alive! Have the girls put aside their differences with Paige?